I love going to comic book conventions and meeting some of the creative people who create the comics I enjoy. Here are a few of the Transformers autographs I have in my collection. I got this book autographed a few years back. 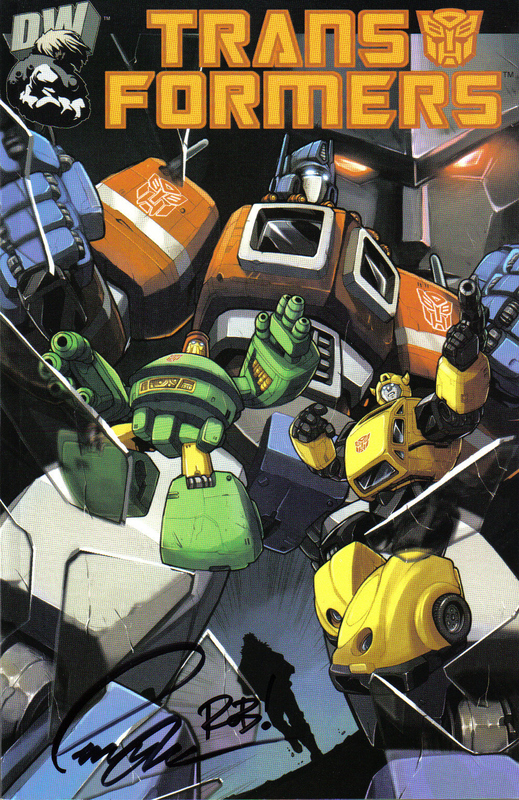 It is the trade paperback to the first Generation 1 story Dreamwave Comics produced. Pat Lee, who did the pencils for this series scribbled his name for me on the bottom right of the cover. I also got the inker of the series, Rob Armstrong, to sign my book as well. 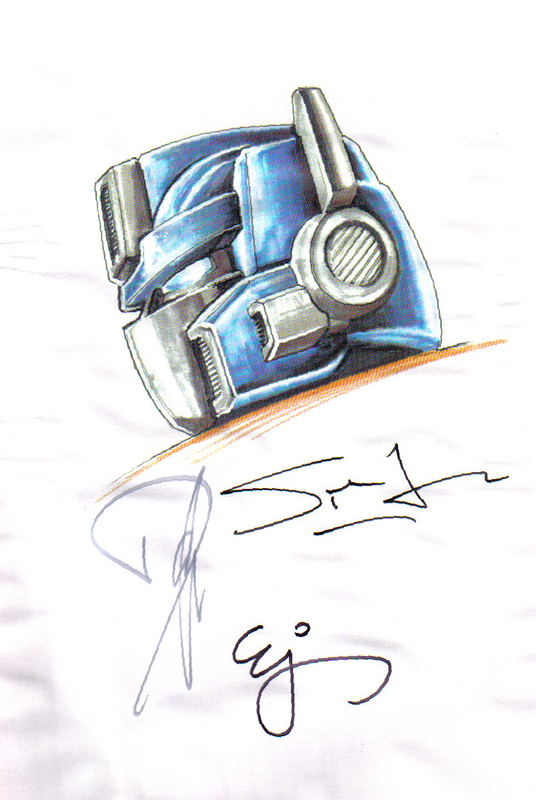 This autographed sketch came with the special edition of the Omnibus for IDW Comics. It is signed by Simon Furman, E.J. Su, and Don Figueroa. The comics are doing an excellent job of telling Transformer stories while being respectful of the characters and history of the franchise. I am thankful that we have these beautifully drawn and well written stories being told. It keeps Transformers alive. The movies have been a huge letdown with their focus on special effects and their total lack of character development. When we have over twenty years of Transformers lore to draw from, I am really surprised that the movies weren’t more carefully written. There are plenty of fans who could have done a much better job in producing the movies. I wish the creators of these comic books had written the movies, they would have been so much better.